I love getting catalogs–especially design catalogs like Pottery Barn, Ballard Designs, Crate and Barrel, etc. The best is when I see something that I love the look of, but that I can create for much less than the price tag in the catalog. I may not always get around to doing it, but it’s great when it works out. 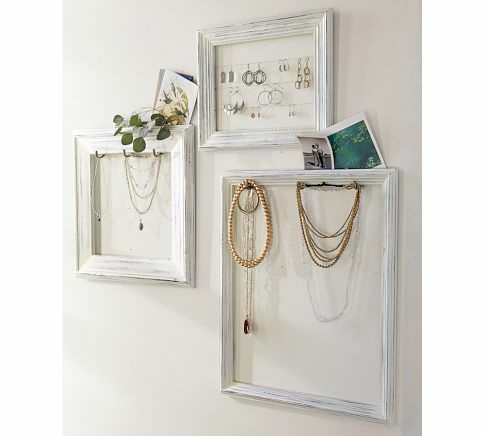 I saw these jewelry display frames in a Pottery Barn catalog a while ago. I tore out the page and kept saying, “I want to do this.” I found it again a few weeks ago and finally got around to assembling it. 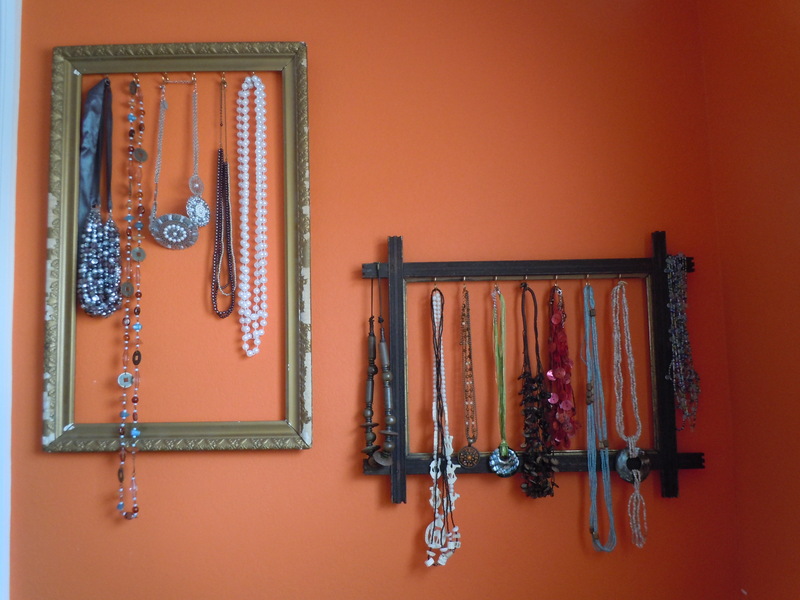 I liked the distressed white and I have plenty of necklaces that I wanted to display–it makes it easier for me to remember my options than when they’re tangled in a drawer. My version. I like the fact that the frames aren’t identical and have a bit more character than the PB version. Also, these didn’t cost me $65 (which is what I think the necklace version retailed for in the catalog). I’ve really enjoyed having my necklaces on display and it cuts down on the De-tangling!